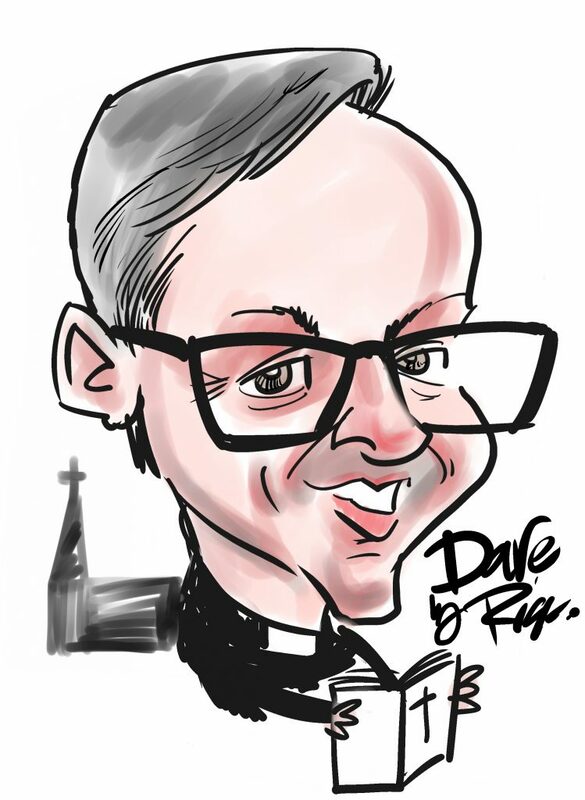 Dave joined the Benefice in July 2015 from Milton Keynes where he had been a Team Vicar ministering on the west flank of the city. Married to Kath they have three children, Saskia (a teacher) , Lydia and Tim ( (who both work in London) and Lottie the Golden Retriever. Dave is passionate about developing faith with people of all ages, of a church being a place of welcome, with accessible, relevant, family friendly worship. He has a desire to see the local churches as outward looking, embedded in community life with a style that encourages growth in discipleship and lay leadership. I was born in Liverpool but moved during my school years because of my father’s job. Early schooling was in Cardiff where I regularly attended Sunday School and gained a passion for sport, particularly rugby (I have a special Six Nations rugby themed stole which was given to me when I was ordained). We then moved to Weston Super Mare for my sixth form studies and I started to play the great game of hockey! I was always determined to become a teacher and studied Physical Education at Bishop Otter College in Chichester. During my first teaching post at Worthing I coached gymnastics and it was while I was organising a gym competition that I met Kath who had trained at Bedford College and was teaching in Farnham. We were married and later set up our first home in Flitwick (where I played hockey for Wrest Park). I changed jobs to become a Head of PE and we moved to Tring, where Saskia our first daughter was born, and after a brief spell there, we moved to Chesham where our second daughter Lydia was born in 1992 and our son Tim in 1995. The Church had been a consistently important part of our lives but it was only during baptism preparation for Lydia that we both realised that we were not doing the things that we really wanted to do with our lives. We moved to Milton Keynes and as teachers we were able to find jobs, initially as a job share between us. 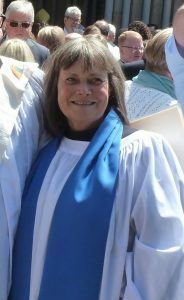 It was through my association with my local Church that I decided to be ordained and take up the ministry, training part-time via the Oxford Ministry Course, teaching during the week and spending weekends away in Oxford studying. 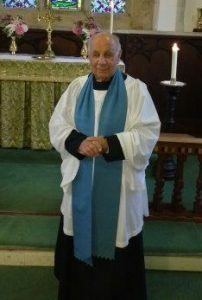 My curacy was with the Stantonbury Partnership where I was both a full time teacher and curate and I became Chaplain to the Milton Keynes Sea Cadet Corps. 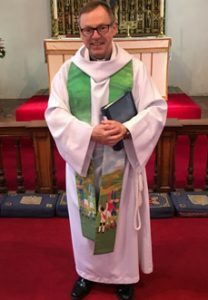 I then became a Team Vicar in the Watling Valley Partnership, which involved the Church of England, together with the United Reformed Church, Methodist Church, and Baptist Church and reflected many different styles of worship. It gave me the opportunity to explore the breadth of worship styles and to understand the importance of a Church being open and welcoming to its congregation. I wanted to work in this Benefice because I believed it would enable me to develop and apply my own ideas and initiatives in a rural environment. 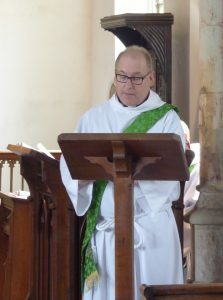 I was excited by the challenges as well as the opportunities that having the responsibility for the life and work of the Church in the Benefice brings. I want to help people in the three Parishes to nurture their Christian faith and ultimately help the churches grow numerically, spiritually and in servanthood. My aim is to define and articulate God’s vision for the development of the whole Benefice and to develop worship that fits in with a whole variety of ages and styles.